The technology has touched every sector and now become an integral part of the restaurant kitchen as well. The updated technology and the new digital solution is helping the restaurant manager ease the process of conducting a restaurant business. The technology-driven restaurant is able to progress at a faster rate and has provided a huge transformation in the restaurant business. There are certain technologies that if included in the restaurant management help in running the business efficiently thus increasing the sales and profit margin. Tablet Restaurant Management: There are many web and mobile apps that help the restaurant in providing real-time views of tables, catalogs the menu by name and ingredients. Also there apps or software have access that is helpful in managing the sales and delivery tickets and delivering orders to the kitchen. 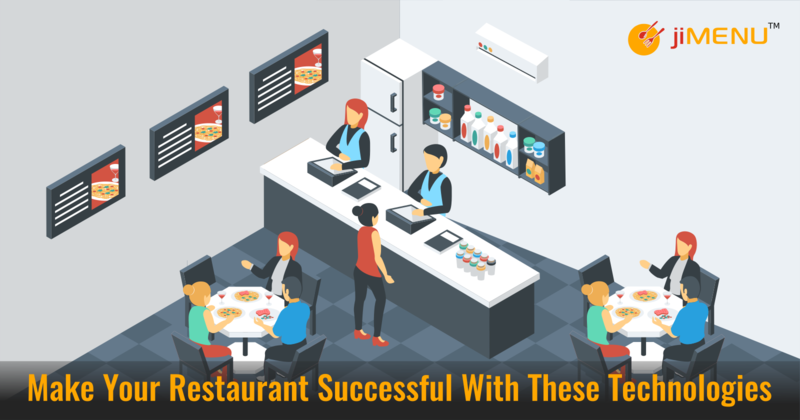 Many eateries are now opting such tools that help them in managing the restaurant system. Online Ordering: For growing restaurant business and to increase your sales it is essential to look for other alternatives that help you in grabbing more customer. You can embrace online ordering by developing a partnership with food ordering apps. By doing this you would be able to make more profits and can reach new customers. Digital Table Manager: The biggest reason for customer dissatisfaction at the restaurant is the long waiting hours. You can improve such issues by introducing a digital table manager. With this, the customer would be able to book reservations and the restaurant manager can suggest the available seats and time. With the help of software, the restaurant can acknowledge the customer about the accurate wait time and the hours at which the table is ready. Also, by using an effective tool the restaurant manager can inform the waiters about the customer demands. By using such technology-based tools restaurant is able to provide the best services that influence them to offer the best services. Optimized Schedule Tracking: Scheduling orders is the most difficult task for every restaurant. But by introducing relevant software with optimized schedule tracking helps the restaurant manager and staff in optimizing the schedule tracking. Schedule tracking accounts for employee availability, time-off requests, and shift swaps. Also, the software helps the restaurant in monitoring sales thus reducing overtime and increasing profits. CCTV Cameras: This is the best and most important thing that is essential for running any business. With this, the restaurant is able to find frauds, slacking workers. The camera records every event and is the key to solve a lot of usual problems. Technology has been the key ingredient for the success of any business including the food industry. Now the restaurant is earning fame not only by delivering good food but by offering much more comfort and better experience. Although, integrating a restaurant software solution comes at a cost, but the results and profit make the investment worthy.